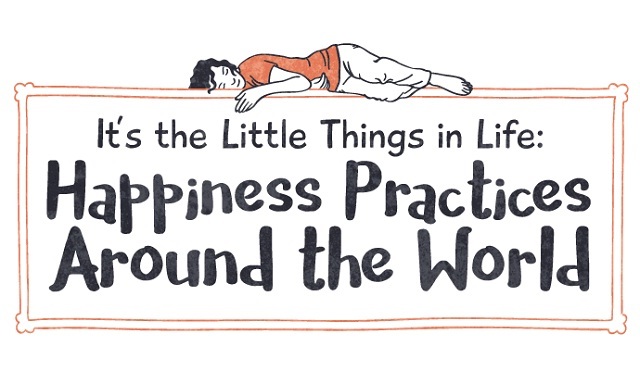 It’s the Little Things in Life: Happiness Practices Around the World #infographic ~ Visualistan '+g+"
Happiness isn’t all about grand ambitions and big achievements, it’s also about the little touches that make daily life a bit nicer. All over the world, people have found their own ways to brighten up a difficult day without the need to spend money. Our new series of illustrations takes a look at a few that you might like to try for yourself.